Last month marked my first full year of running, and what a fun year it's been! 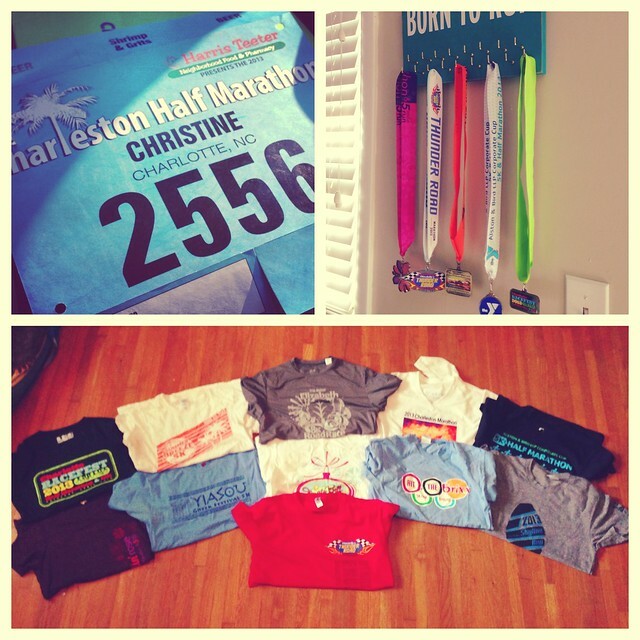 I've run five 5Ks, one 8K, one 10K, four half marathons, and one marathon for a total of 12 races. I've also acquired a closetful of race t-shirts, a bunch of bibs, and a handful of medals. I've PR'd 4 times (twice in a half, twice in a 5K, and placed 1st in my age group at my most recent 5K). If you had told me a year ago that I'd have done all that, I probably would have laughed for days. But it's been such a rewarding year filled with accomplishments and learning. And while running has certainly changed both my body and mindset, one of my favorite things about running is the community I've found. I'm fortunate to live in a city with a large and welcoming running community, and to have met a supportive group of fellow runners who I trained with last year for Thunder Road and who I'll be training with again this year for Savannah. I've seen this community come together to stand against the senseless violence at the Boston Marathon and to help local runners injured there, and I've learned that as much as running can be an individual sport, runners can still draw strength from each other and pull each other through the tough moments (both on the road and off). 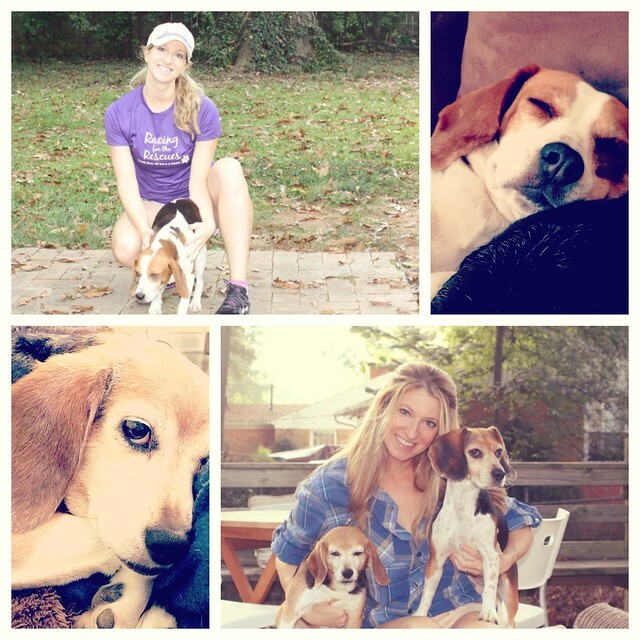 Running has also given me an outlet for giving back with my (now annual) Racing for the Rescues fundraiser benefiting Family Addition Dog Rescue of Charlotte. Last year, I raised more than $1000 and was interviewed by a local TV station. This year, I'm hoping to raise $2000 and I'm designing t-shirts to sell with 100% of the profits going to Family Addition. While I might not have time to plan full-blown gala-style fundraisers, I'm thrilled to have found a way to contribute! And as mentioned upstream, it's been a year of learning, and I'm generally not someone to learn things the easy way. Maybe some new runner out there can learn from my mistakes. So if you're a new runner, read on, grasshopper. 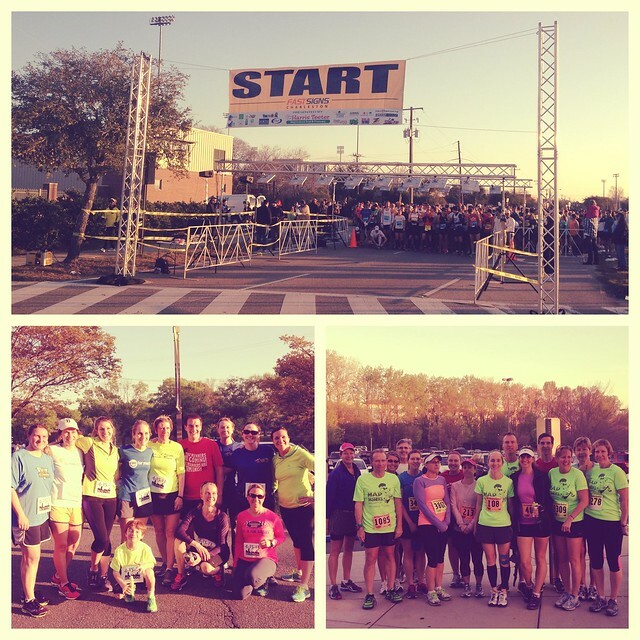 If you're a seasoned runner, well, read on and go ahead and laugh at my beginner's naivete. As much as I love racing, racing every weekend, especially longer races like half marathons, can take its toll and knock your regular training off-schedule by creating a need for longer recovery. I learned this the hard way by running a half marathon, followed by an 8k at the fastest pace I'd ever raced, followed by a 5k at an even faster pace than the 8k, and wrapped it all up with a charity flag football game that left me pretty beat up (I'm competitive, okay?). All that racing plus football left me with tight leg muscles, sore ankles, and just an overall feeling of fatigue, which forced me into two weeks of short run/walks rather than my regularly scheduled mileage. I'm sure a lot of this had to do with the fact that I'm a new runner, but for all the new runners out there, take that as a warning so it doesn't happen to you! Racing is fun, but so is steady and consistent training! I'm sure as I get more miles under my legs, consecutive racing won't be as difficult and not getting beat up at a flag football game will probably also help. When I first started running and marathon training, it was all too easy to feel invincible. I had a naturally fast(ish) pace, so I could keep up with runners who had been running much longer than me. And then, I started having IT band issues, and that feeling of invincibility quickly turned to a dread and panic that I would have to sit out the marathon I'd been training so hard for. But I quickly got up to speed on how to alleviate those issues and started doing daily stretches, as well as warm-up and cool down stretches every time I ran. And while I had previously been going to Pure Barre sporadically, I started making a point to get there at least once a week, and my IT band issues slowly went away. I've sworn by hitting the Barre ever since. It alleviates muscle tension, strengthens core muscles, and helps with controlling breathing. Admittedly, I need to be better at cross training, but doing something other than running, even if it was a core and strengthening workout like Pure Barre, was a big help overall in my level of physical fitness. Really. Recently after that racing streak, I helped get the tension out of my tight calves and sore ankles by using the running stick. I bought mine at local running store, Run for Your Life, and most running stores carry them. The Stick, along with frozen wash cloths wrapped around knees and ankles plus rolling the arch of my foot over a frozen bottle of water, definitely helped ease the pain of long runs, too much racing, and muscle fatigue. Once I finally broke the 9 minute per mile mark in training runs at the same effort I previously ran over a 9:30 pace, it was so easy to get addicted to the high of speed (running, not the illegal kind). And when I broke the 8 minute mile mark in a training run, well...then I knew I just had to exercise a little self control. While running fast is fun, it's not always smart (and of course "fast" varies from runner to runner). In the past few months, I've made marked efforts to run at reasonable (for me) paces and not run every training run as if it's a race. And training certainly has its peaks and valleys, with times when you're pushing yourself and running a lot of miles and times when you need to recover and get ready for the next peak training phase. Respect the recovery. It will only make you a better runner and hopefully, keep you from suffering an overuse injury. You will regret it for at least a week.